Molly’s Secret Garden: In the Beginning takes young readers on an amazing journey back in time to the beginning of creation. Molly is a young girl who lives in the big city. She has a dream to build a secret flower garden on the roof of her apartment building, but Molly is faced with many obstacles. After hard work and dedication, her dream becomes reality. Then a wonderful surprise happens! 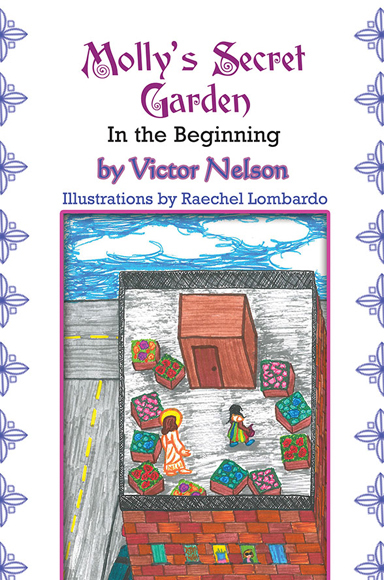 One day as Molly is tending to her secret garden, Jesus appears and offers to take her to visit the stories at the beginning of the Bible. During their travels, Molly witnesses the creation of the Earth and its plants and animals, but most importantly, she sees the creation of man. 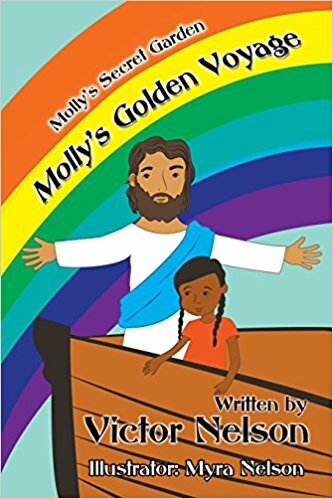 In the next book of the series, Molly and Jesus take another biblical adventure. This time, they take a “Golden Voyage” with Noah on the ark. Molly struggles with the growing drug problem and violence happening in her big city neighborhood. She loves the peace she finds in her apartment building’s rooftop garden, but the violence on the streets below make her want to see big changes in the place she calls home. Because she is a little girl, Molly believes she can’t really make a difference. Then her best friend Jesus appears and takes her on the voyage of a lifetime, showing her how the world was changed when God flooded the earth. Molly meets Noah and his extraordinary family as they show perseverance through trials and hardships, having only their faith in God to guide them. She learns how a family’s trust in the Lord and doing what is right can change the future of the world. Victor Nelson lives near Cincinnati, Ohio. His first book in the series is Molly’s Secret Garden: In the Beginning. -I love the innocence of children. I love seeing the feeling of achievement in their face when they learn and experience new ideas for themselves. With a young girl like Molly and the endless stories of the Bible, I love being able to create a story line that embellishes those ideas. Victor Nelson comes from a strong religious background. He enjoys working with young people and has been involved with the Boy Scouts for many years. The first-time author lives near Cincinnati.